Balaji Panchapakesan has more than 20 years’ of experience in the telecom industry, and is very well respected in his field of work. Balaji, has built a strong reputation as a person with vision, diligence and honor, and someone who gets things done. He is a dedicated, ambitious, result driven leader who believes in people and his core value has always been “Respect for Individuals”. His career has spanned major multi-nationals like Oracle, Vodafone, Sonera, Mobily, Roshan and Oman Computer Services. Balaji is an entrepreneur who started Celcom Solutions in 2010, a company specialized in telecom BSS and OSS solutions. Balaji is a resident of UK, and is actively involved in several social initiatives. He also sponsors underprivileged students for engineering studies every year. 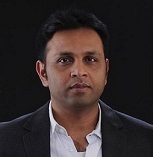 Mantu Kumar Tiwari is a proven leader in building software business at scale on a global basis. In his 20+ years of international experience, Mantu has worked in area comprising Consulting, Product Management, Marketing, Business Development, Major account leadership. Prior to joining Celcom Solutions, he has worked for large scale organizations, namely, Oracle, Aricent, Wipro, where he held key positions. He has worked for major telecom operators, namely, KT, Vodafone, British Telecom, Bharti Airtel, TeliaSonera, Orange, CenturyLink, AT&T, Telecom South Africa, Verizon, to name a few. Mr. Mantu has been driven by one basic belief – “to build an organization deeply committed to Values, with the firm belief that success in business eventually but inevitably follows”. Mr. Mantu holds Bachelor of Engineering degree in Computer Science from Dibrugarh University and Executive Management from IIM, Bangalore and is a certified black belt in Six Sigma. 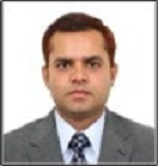 He is a contributing member of industry forums, namely, TM Forum, ITIL, Telecom Asia and ATIS. During his free times, he likes sports, movies and social service.